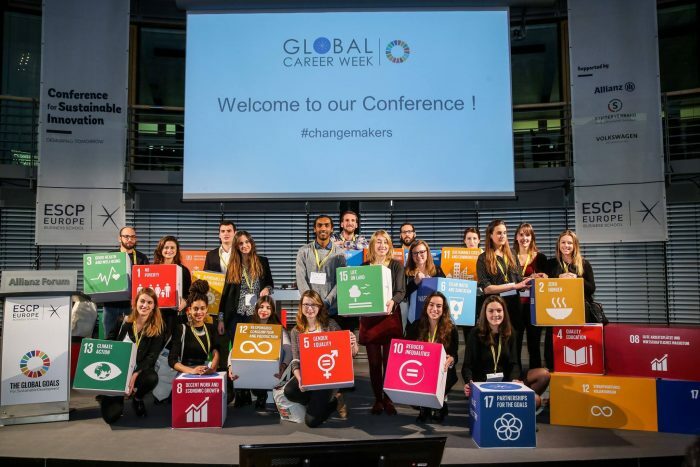 Recognizing the increasing importance of the UN Sustainable Development Goals (SDGs) of the Agenda 2030, ESCP Europe launched its second conference to allow students to experience how they can have an impact and help the world achieve the UN SDGs. Students of the Master in International Sustainability Management supported the organization of the event and worked together with over 200 Master in Management students to develop sustainable business ideas and innovations. With this conference, ESCP Europe aimed for creating an environment in which future business leaders meet with policy makers, civil society, and industry to come up with ideas and business innovations. Over 50 representatives from different companies, NGOs and the public sector discussed sustainable approaches for future business with 250 international students.